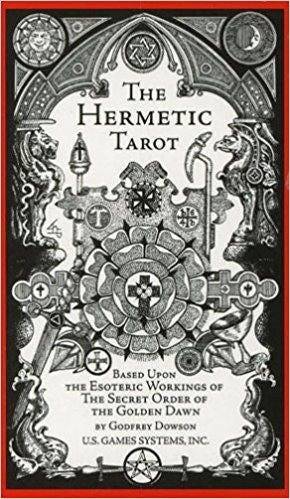 Following the esoteric workings of the Hermetic Order of the Golden Dawn, "The Hermetic Tarot Deck" includes astrological, sephirotic, angelic, geomantic, and numerical attributions on each card. Fast Shipping, nice seller, thank you very much! These cards are unbelievably gorgeous and the story behind them and the artist Freida Harris, well these are much more that just cards to me.